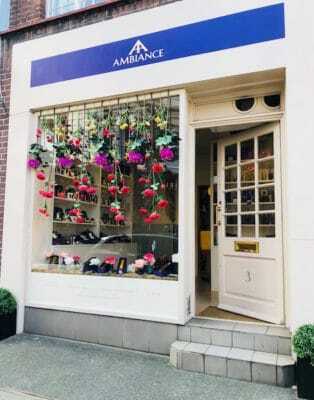 Over the coming months Ancienne Ambiance in Chelsea Green will introduce exciting in-store events and product launches with a difference. 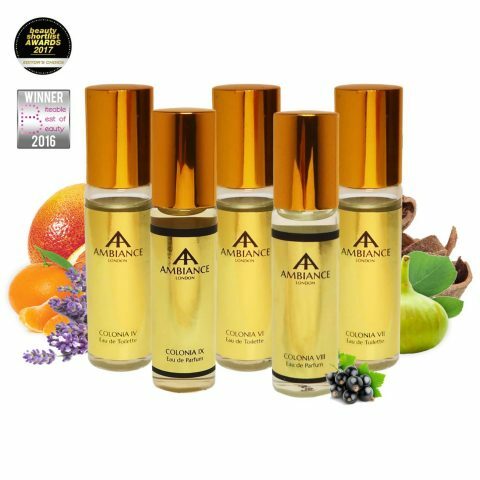 Unique exhibitions of ancient artefacts ranging from 1000 to 3000 years old will offer our clients a precious opportunity to gather some insight into the pieces inspiring Ancienne Ambiance luxury products. An exclusive preview reception will precede each exhibition, sharing early viewing of exquisite objects, often celebrating new arrivals or launches. In addition, trunk shows will be held alongside events focusing on independent, niche designers of jewellery and accessories, artists and more… opportunities to meet the designers and discover more about their craft and specific skillset. For our first event we’re celebrating the arrival in-store of new luxury glassware by famed La Soufflerie. A Summer exhibition showcasing Ancient Glass will feature 2,000 year-old glass perfume bottles from ancient Roman, Greek and Phoenician periods. 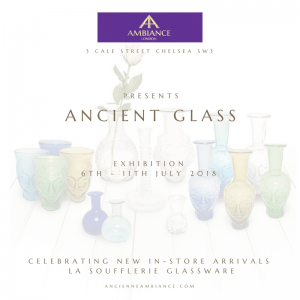 Running from 6th-11th July 2018, all are welcome to view the Ancient Glass display in-store during opening times. This Autumn/Winter we’ll be adding ‘Jewellery at Ambiance’ to our boutique – new hand-made jewellery collections by independent designers and, to celebrate this, a September exhibition will showcase Ancient Jewellery from various periods, including Roman, Greek and Egyptian, for a limited time only. 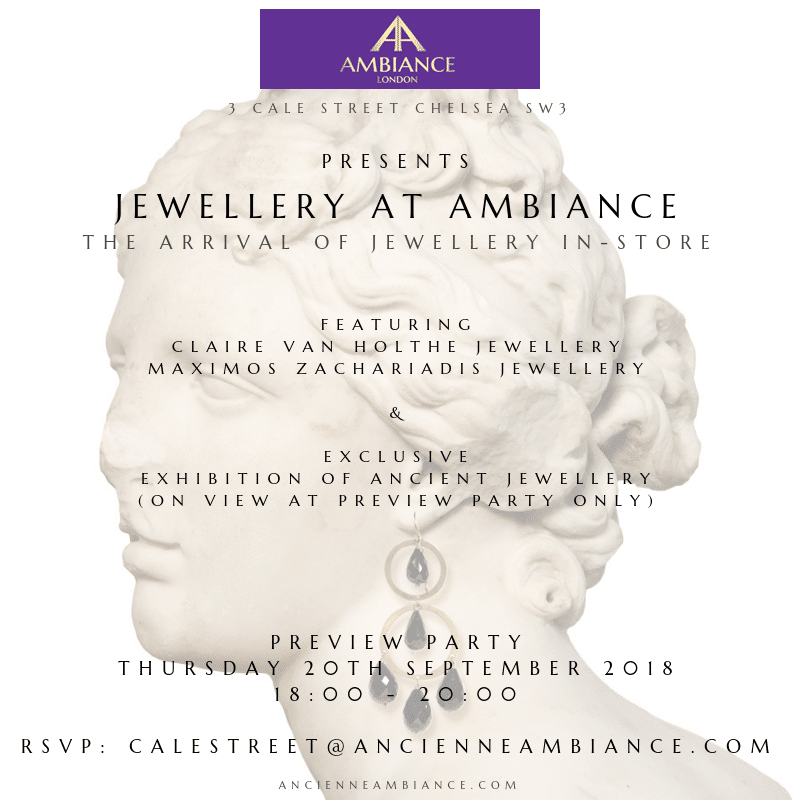 Making your Ancienne Ambiance visit an even more interactive experience, an exciting preview reception and trunk show will be held on Thursday 20th September, with jewellery designers Claire van Holthe and Maximos Zachariadis in attendance. This one is well worth waiting for and will offer the opportunity to meet the jewellers and explore both ancient and modern pieces together. Sign-up below to our mailing list to receive your invitation. 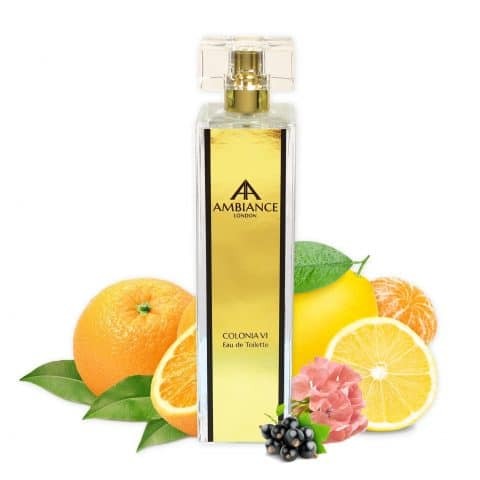 Keep your calendars poised and get set to become involved with some extra special Ancienne Ambiance ancient heritage, as we take you with us on a journey through exquisite sources of inspiration. “I’ve always hosted friends and family, so it’s really exciting to hold these events for clients now too”.